The INNOPATHS consortium includes 15 organisations from 8 European Member States, plus Switzerland. Each are leaders in innovation and low-carbon transition research and communication. Aalto University is a multidisciplinary community where science and art meet technology and business. The university works with grand societal challenges and building an innovative future. Aalto University has 6 schools with nearly 20,000 students and 4,500 employees. The School of Science offers a pioneering and applied approach to multidisciplinary research linked at responding to a variety of sustainable development challenges. Allianz Climate Solutions (ACS) serves as the center of competence for climate change with a focus on renewable energy. ACS offers insurance services and advisory services on financing issues for renewable energy projects to both external clients and Allianz entities. Furthermore, ACS is responsible for climate-related strategy development of Allianz and serves as catalyst for climate-related product development. ACS is a subsidiary of Allianz Asset Management AG. The University of Cambridge (UCAM) is one of the world’s oldest universities and leading academic centres, and a self-governed community of scholars. Its reputation for outstanding academic achievement is known world-wide and reflects the intellectual achievement of its students, as well as the world-class original research carried out by the staff of the University and the Colleges. Addressing the energy challenge is an area of intense activity across the University, with around 300 researchers involved in energy-related research and a funding portfolio of over 235 million GBP. The Euro-Mediterranean Center on Climate Change (CMCC) is a non-profit research institution whose mission is to investigate and model our climate system and its interactions with society and the environment to guarantee reliable, rigorous, and timely scientific results to stimulate sustainable growth, protect the environment, and to develop science driven adaptation and mitigation policies in a changing climate. CMCC’s scientific activities are distributed among eight research divisions which share different knowledge and skills in the field of climate science: Advanced Scientific Computing; Climate Simulations and Predictions; Economic analysis of Impacts and Policy; Impacts on Agriculture, Forests and Ecosystem Services; Ocean modeling and Data Assimilation; Ocean Predictions and Applications; Risk Assessment and Adaptation Strategies; Regional Models and Hydrogeological Impacts. E3-Modelling is a knowledge-based company created as a spin-off of modelling and economic research performed over many years in E3MLab. E3-Modelling is specialized in the development of complex models and carries out impact assessment studies focusing in the fields of economy, energy and the environment as well as markets, for 36 countries in Europe, G-20, MENA countries, the Russian Federation and the emerging economies globally. E3-Modelling provides consultancy services based on the use of complex large-scale applied mathematical models ranging from the GEM-E3, a computable general equilibrium model, the European energy system model PRIMES, the PRIMES-TREMOVE Transport model and the global stochastic energy model PROMETHEUS, to sector-specific models on energy efficiency in buildings, industrial sector and the renewables. ETH Zurich is one of the world’s leading research universities and has more than 18,500 students from over 110 countries. About 500 professors currently teach and conduct research in engineering, architecture, mathematics, natural sciences, system-oriented sciences, as well as social sciences. ETH Zurich is involved in INNOPATHS through its Energy Politics Group (EPG), which forms part of the Department of Humanities, Social and Political Sciences and represents one of the seven professorships of the Department’s Governance Section. In its research, EPG centres on questions related to the governance of technological change in the energy sector. Specifically, EPG analyses how policy, and its underlying politics affect the invention, innovation, and diffusion of new technology, and how this technological change feedbacks and into the policy process. The European University Institute (EUI) was established in 1972 by European Union member states to promote research at the highest level in a European perspective. It is made up of the departments of Law, Economics, Political and Social Science, and History. Within the EUI, the Robert Schuman Centre for Advanced Studies complements the four disciplinary departments of the Institute, by carrying out both basic and policy-oriented interdisciplinary research and by collaborating with other centres of excellence in Europe. As part of the Schuman Centre and, particularly, of the Florence School of Regulation (FSR), the Climate group carries out analysis and evaluation of EU climate policies and provides a forum for discussion of research in this area. Nice and Serious is a creative agency for organisations who are serious about doing good. We partner with our clients to develop creative solutions –such as campaigns, films and digital products – to help engage people with serious issues. The Potsdam Institute for Climate Impact Research (PIK) is a non-profit research institute addressing crucial scientific questions in the fields of global change, climate impacts and sustainable development. Researchers from the natural and social sciences work together to generate interdisciplinary insights and to provide society with sound information for decision making. The main methodologies are systems and scenarios analysis, modelling, computer simulation, and data integration. The institute advises national governments, the European Commission and a number of international organizations like the World Bank. It contributes to the reports of the Intergovernmental Panel on Climate Change (IPCC), such as the Special Report on Renewable Energy Sources (2011) and the influential Fifth Assessment Report (2014). Sciences Po is a research university in the social sciences, internationally recognised for the quality of its scientific output. Developed with a strong focus on society, research conducted at Sciences Po enriches public debate. With 50 years of experience, Science Policy Research Unit (SPRU) is internationally recognised as a leading centre of research on science, technology and innovation policy at the University of Sussex. Today, with over 60 research staff, more than 70 doctoral students, over £6m of on-going Research Council funded projects and over £2m of ongoing European Commission funded projects, SPRU remains at the forefront of new ideas, problem-orientated research, inspiring teaching, and creative, high impact engagement with decision makers across government, business and civil society. The UCL Institute for Sustainable Resources (ISR) is located in The Bartlett, the internationally renowned Faculty of the Built Environment at University College London (UCL), which is in turn rated as one of the top ten Universities in the world. The institute was established in 2011 as a cross-disciplinary research facility and aims at bringing together capabilities and expertise from across UCL. Its research and teaching activities as well as its collaboration with companies and other stakeholders build around the research theme of the sustainable use of resources and the environment. 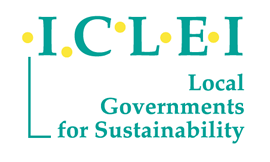 UCL ISR, along with it’s sister institute UCL-Energy, have a broad range of expertise in policy, resource efficiency, energy system and sustainability analysis, which have been widely used to support policy making. Established in 1636, Utrecht University has evolved into a leading modern comprehensive research university with a growing international reputation. The Utrecht School of Economics (U.S.E.) aims to create a distinct profile for itself as a recognised centre of expertise for multidisciplinary economics teaching and research. In its research strategy it addresses major societal challenges such as the future of work, behavioural insights for policy making, entrepreneurship, sustainable finance as well as sustainability and economic development. The Sustainable Finance Lab provides comprehensive insights into functioning of different financial market actors and their decision making as well as the surrounding regulatory environment. Warsaw University of Technology (founded in 1831) is one the oldest and largest higher education institutions in Poland. It is the best Polish technical university offering higher education in numerous fields of technical sciences. There are 19 faculties and one college, 48 fields of study, 2185 academic teachers and about 37020 students. WUT, with its educational offer adapted to the requirements of the job market, is not only a space for teaching and learning, it is also a springboard to achieving the highest standards in scientific research by transforming knowledge into innovative and groundbreaking undertakings. WUT’s students very often conduct research in cooperation with world-renowned scientific centers and leading universities, they get familiar with different cultures, and, consequently, WUT’s open-minded graduates augment social elites and very often become leaders in industry and the WUT’s mission may be formulated in one sentence: The knowledge and skills imparted to its students and the scientific studies it conducts must always serve Man and Mankind.